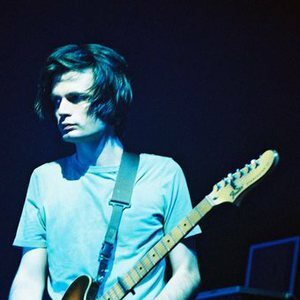 Jonny Greenwood (born 5 November 1971) is the lead guitarist in the British alternative band Radiohead from Abingdon, Oxfordshire, England. He also plays piano, organ, viola, synths, Glockenspiel, harmonica and the Ondes Martenot, among a host of other devices used to enhance the soundscape of many Radiohead songs. Years active since 1985. He also uses modular synthesizers, a Korg Kaoss Pad, and a laptop (for voice clips/modulation) on newer tracks. Jonny also uses a Rhodes Seventy Three piano, a prominent feature during the Ok Computer era. He also uses modular synthesizers, a Korg Kaoss Pad, and a laptop (for voice clips/modulation) on newer tracks. Jonny also uses a Rhodes Seventy Three piano, a prominent feature during the Ok Computer era. Jonny is one of the most prominent users of the Ondes Martenot, an early electronic musical instrument with a keyboard and slide. Jonny uses the Ondes Martenot on the soundtrack to the film Bodysong, as well as in Radiohead, and mainly around the Kid A/Amnesiac era, on songs such as 'Pyramid Song' and 'How To Disappear completely. Apart from his work with Radiohead, Greenwood is also a composer, and has produced several neo-classical works, and some inspired by Polish composer Penderecki, as part of his tenure as the BBC's composer-in-residence. He also composed the soundtracks to the films Bodysong (2003), There Will Be Blood (2007) and Norwegian Wood (2010). Some of his more recent scores include We Need To Talk About Kevin (2011) and a return to working with director Paul Thomas Anderson, in his latest film The Master (2012).